Rapido is a BBC2 television show which ran from 1988 to 1992, and was presented by Antoine de Caunes. The show also ran in over 14 countries worldwide. It featured reports from up and coming new bands linked together with footage of Antoine standing in front of a large Rapido sign on a white background. Rapido was notable for De Caunes' idiosyncratic delivery. His English is completely fluent, but he (deliberately) spoke it with French intonations and speech rhythms on the programme. 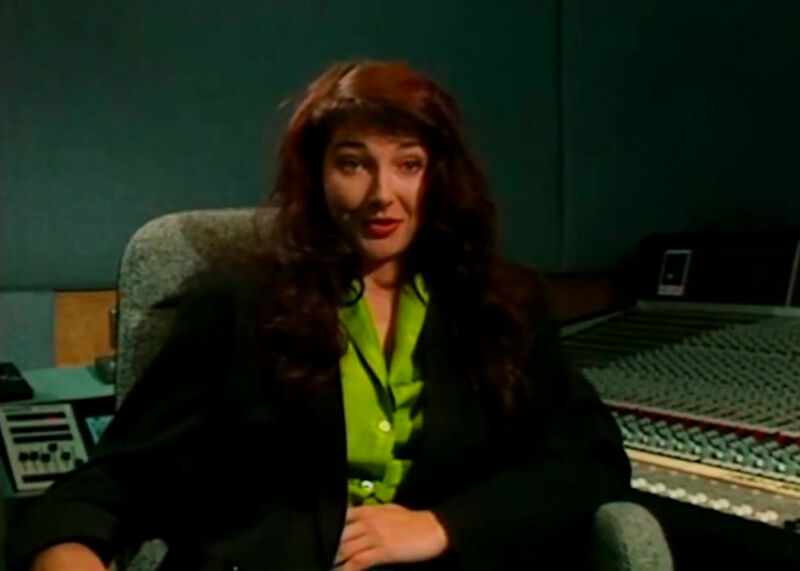 Kate Bush appeared on Rapido on 14 October 1989, in an interview recorded at her home. She talks about songs from her album The Sensual World and is also seen making tea and playing the intro of This Woman's Work on the piano. Rapido (TV series). Wikipedia, retrieved 21 October 2017. Kate Bush Rapido! YouTube, retrieved 21 October 2017.